Lucie Newcomb was first featured on episode #038. She is the head of The NewComm Global Group, Inc., a management consulting firm that specializes in global markets expansion and leadership development for the B2B technology and services sector. 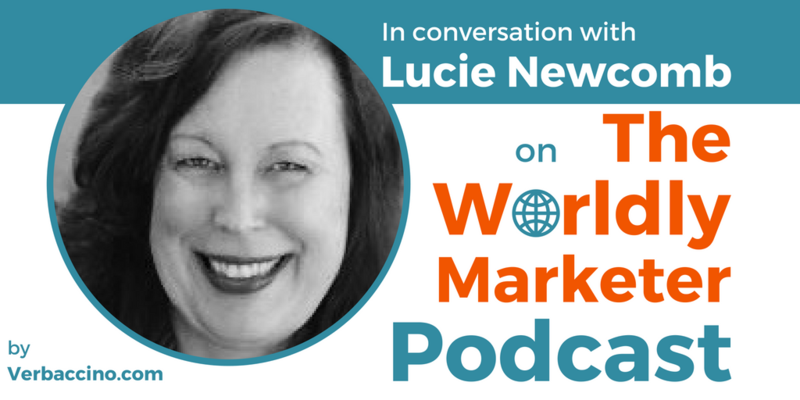 For over 20 years now, Lucie has been helping her clients grow their brands and revenue streams worldwide – including into Emerging Markets – and often serves as an interim or fractional CMO for B2B companies. In addition to her role at The NewComm Global Group, Lucie is a Global Mentor with the U.S. Department of State’s Global Innovation – Science & Technology (GIST) program. She has also served on the Advisory Board of Brand2Global, the leading conference series on global marketing and branding. Currently, Lucie is working on go-to-market strategies for tech startups that specialize Software as a Service (SaaS), Platform as a Service (PaaS), the Internet of Things (IoT), Infrastructure as a Service (IaaS), and Software solutions. On this episode, Lucie focuses on the particular challenges and opportunities for business looking to enter today’s Emerging Markets.